World Oral Health Month is celebrated annually on a National basis by Oral health professionals and endorsed by the National Department of Health. It is the culmination of celebration and a dedication raising national awareness on the prevention measures available and creating an understanding regarding oral disease. 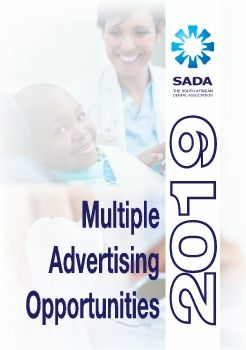 SADA fully endorses celebration of World Oral Health Month in South Africa and works closely with the National Department of Health to support and endorse all programmes of oral health.